CourseSmart, a leading digital content services company and one of the largest providers of digital course materials, has announced a strategic partnership with Naseej, the leading knowledge solutions provider in the Arab World. The agreement aims to provide higher education institutions in the region with access to the largest library of eTextbook resources from over 50 publishers. 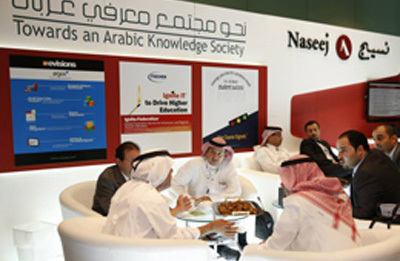 The new partnership with Naseej reflects the increased adoption of digital course materials worldwide and validates CourseSmart's growing international footprint, said a statement from the US-based company. As per the agreement, Naseej will provide hundreds of higher education institutions across the region with access to CourseSmart's expansive catalogue of textbook titles in digital format. Through CourseSmart's platform, students, faculty, and institutions in the Arab world will now have access to eTextbooks and digital tools that will enhance their learning experience and encourage further engagement. *CourseSmart eTextbooks are device agnostic, supported by any web-enabled device including laptops, iPad and Android mobile devices. Commenting on the deal, CEO Sean Devine said, "CourseSmart is delighted to join with Naseej in the common goal of increasing educational access and improving learning outcomes for students in the Arab world." "Together we are responding to the strong market demand and potential in this region, and we are providing eTextbooks already to twelve universities in the region. Naseej's strong local presence and technical expertise are integral to our international growth strategy overall, and our ability to provide excellent service to current and future customers throughout the Arab world," he added. Abdullah Al Turaifi, the VP of Naseej, said: "As we continue our mission to spread knowledge and information throughout the Arab World we are pleased to join with CourseSmart to provide digital course materials to students and institutions throughout this region."